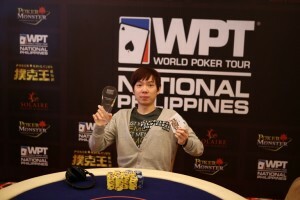 May 16, 2016 (Manila, PH) – Riding on the event’s successful launch during WPT National Philippines in January, which amassed a total of 312 entries on a 50,000 USD guarantee, and the recent follow-up at the WPT National Korea in May, which improved upon the original with a lot more goodies, and saw Mainland Chinese player, Fan Fan, bag the top prize at 17,136,000 KRW, the newly-minted special Poker King Cup trophy, a full set of PKC limited-edition merchandise, and tickets to the upcoming event, Poker King Club is now poised to launch the first-ever Poker King Cup National, a standalone event to be held in Asia’s prime poker destination, Manila, this June. The event will have one Main Event flanked by three side events over a five-day period. Or you may call the operations team at Poker King Club Manila directly at +63 2 09178386754.